It is important to read this if you are using a USB flash disk to download transaction records from a FingerTec terminal. 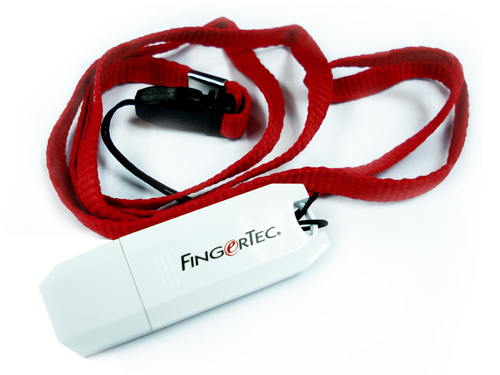 Most FingerTec models come with a USB port. The administrators can use a USB flash disk to transfer information between all FingerTec terminals, without using a computer or the TCMS software. Users can download transaction records from the terminals into the computer using a USB flash disk as well. The transaction records will then be processed and evaluated. The USB port eases data transfer between the terminals and the computer. The transaction records remain in the terminal even after the download process is finished. The terminal does not automatically delete the records. During the next download process, the previously downloaded transaction records together with the new records are downloaded into USB flash disk. Therefore users might duplicate old records when they use the data to process attendance or payroll. The transaction records accumulate from day to day. When the storage reaches its limit, the terminal will delete the oldest record 1 by 1 in order to free up memory space to save the new records. The terminal will alert users with a voice message saying: “The storage is full” when users verify at the terminal. Supervisors should then take immediate action to delete the old records, to initialize the terminal and keep the terminal in working condition. To delete transaction records: Press MENU → Option → System → Advance Option → Delete Attg log. The steps might vary according to models. Refer to the hardware user guide for more details. You will see the message “Memory Error” displayed on the screen in case the terminal is set to the “Full Transaction Records” condition. In a worst-case scenario, the memory chip might become defective, and you will no longer be able to download its transaction records. In addition to that, you will have to repair the memory chip. As a reminder, always delete the stored transaction records in the terminal after you have downloaded it into the USB flash disk - a simple and easy step in maintaining your FingerTec terminals. It is really important for me to have my important files in my USB. This includes my clients' files for digital printing. I always travel with them, so I can easily deliver when they ask for some changes.